It's about to get frosty in most parts of the country. At RevZilla HQ in Philly, we already have lows in the 40s. 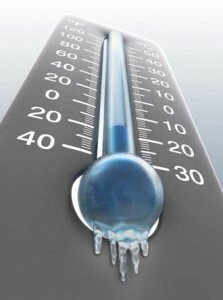 And before any of us knows it, it will be sub-40º everyday. It's time to start taking a look at some winter motorcycle glove options. 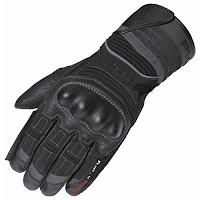 There's no better place to start the search than with Held, a company virtually ubiquitous in the motorcycle industry, manufacturing gloves since 1923. Today we're going to take a look at two extreme cold weather gloves from the Held Glove Company, the Held Freezer Glove and the Held Warm N Dry Glove. First up is our video review of the Held Freezer. Next is our video review of the Held Warm N Dry. from a protection and weatherproofing standpoint, ADV touring winter gloves. Both of these gloves are featured in our Cold Weather Motorcycle Glove Guide. Don't miss all of our winter gear guides by visiting RevZilla's Cold Weather Motorcycle Gear Guides. 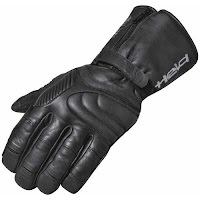 To see the competitors of these gloves, check out our full selection of winter motorcycle gloves at RevZilla.com.